The Chris Reeve Large Sebenza 21 Computer Generated Graphic "Rhino" features a tradional CRK blasted handle with Rhino head and track graphic on the front titanium slab with silver thumb stud and lanyard pin. The Rhino CGG Sebenza is a fine balance of form and function perfect for your pocket or collection. 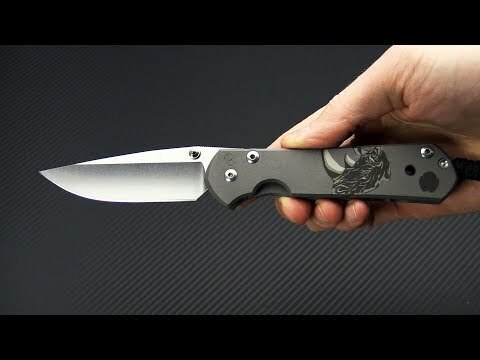 Constructed from full titanium with a CPM-S35VN blade.